The northeastern United States is home to an enormous variety of mushrooms--some delicious, some deadly. This handy in-the-field guide offers identification information for some 50 mushrooms that mushroom hunters are most likely to encounter in the wild: Parasol Mushroom, Delicious Lactarius, Sulphur Shelf, Giant Puffball. 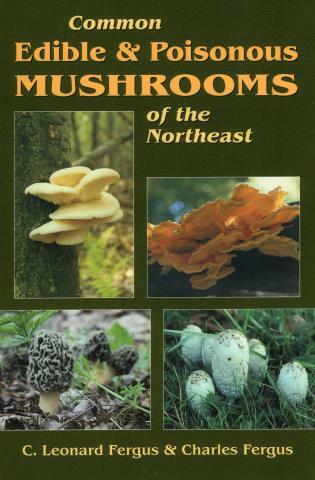 It also features detailed photographs illustrating the characteristics to look for when identifying mushrooms and natural history information--where they grow, when they appear, and the various forms they take. C. Leonard Fergus was a mycology professor at Pennsylvania State University. Charles Fergus has written numerous books about wildlife and the outdoors. He lives in the Green Mountains of Vermont.